Buying a home doesn't always mean immediately putting down a significant down payment. If you find the home of your dreams but you can't immediately lay your hands on $25,000 or more, a rent-to-own option might be just the ticket. These properties are sometimes hard to find in a good economy, however. 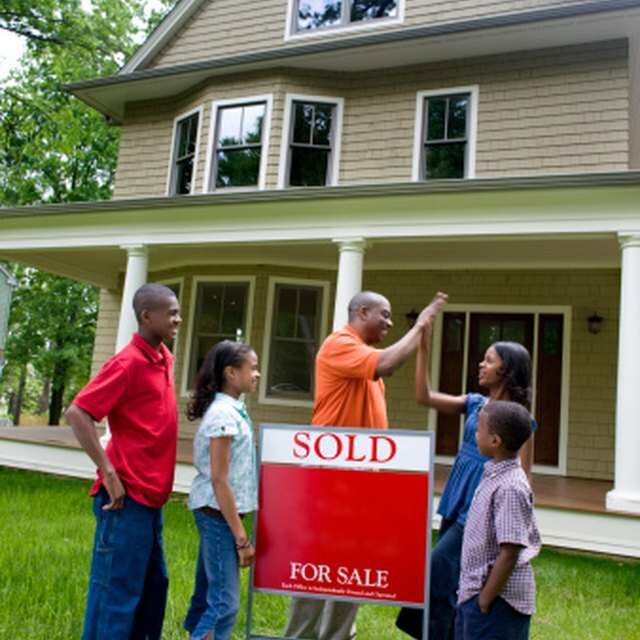 If willing buyers are lined up to purchase a home, the seller has no incentive to enter into such an agreement. A rent-to-own purchase may begin with one document or two, because you're effectively making a deal on two separate issues. The first issue is that you're renting the home for a prescribed period of time, so this part involves a typical lease. The second issue is that you're planning to purchase the property at the end of the lease period, and this involves an option agreement. The option agreement and lease terms might be combined in one contract. You'll also pay an option or consideration fee at the beginning of the lease, similar to a security deposit. Option fees can be anywhere from 3 percent to 7 percent of the home's purchase price, so this cost will typically be more than a security deposit. For example, if you're purchasing a $250,000 home, the option fee will typically cost you at least $7,500 – but that's still a lot less than a 10 percent down payment to buy the property up front. Rent-to-own leases can run anywhere from one to several years. During this time, you'll typically pay a little more than if you were just leasing the home. For example, if the fair rental value of the property is $1,500 a month, your lease might agree that you'll pay $2,000 a month. Although that may not sound like such a great deal, you're not losing the extra $500. Your landlord – the seller – must put this money toward your eventual down payment when you buy the home, along with your option fee. If your rent-to-own lease is for three years, an extra $500 each month adds up to $18,000, almost three-quarters of a 10 percent down payment on a $250,000 home. As a condition of your rent-to-own contract, you have the right to purchase the property at any time during your lease, but you must do so before the lease expires. The sales price is set in advance, at the time you enter into the rent-to-own agreement. If the market rebounds and the home is suddenly worth $300,000 rather than the $250,000 you agreed on, the seller is locked in. He can't break your deal and get $50,000 more by selling the property outright to someone else. Conversely, if the market plummets, you've agreed to pay $250,000 even if the home is only worth $200,000 at the time you exercise your option to buy. At the time you buy, the option fee you paid at the beginning of the lease, as well as all those extra rent payments you made, are applied to the purchase price. You might not have to come up with much cash to close. What Are the Qualifications for Rent to Own Housing? In addition to taking your leisurely time to close on the property and locking in the sales price, a rent-to-own deal gives you time to get to know the home – and its neighborhood – before you take the plunge on a 30-year mortgage. If your dream home turns out to be a nightmare, you can usually get out of the deal – provided your contract specifically gives you the option to buy and it isn't a firm commitment that you'll do so. Unfortunately, you won't get your option fee back if you pull the plug on the deal, and you'll lose all that extra rent you paid as well. Paragon Realty: How Does Rent-to-Own Work?